Financial hardships affect many people, especially in today's economy. When bills become impossible to pay and debts reach an all time high, it's important to remember there are options. One of those options is filing for personal bankruptcy. Under the US Bankruptcy Code, there are two common personal bankruptcy options to assist those who are suffering from severe financial misfortunes. Chapter 7 Liquidation, or "straight bankruptcy," will wipe clean any debt so that the filer does not have to pay any of it back. If the person filing makes more than the medium income for their state, (s)he will have to pass a test first to qualify for filing personal bankruptcy under Chapter 7 bankruptcy. Although almost all debts will be completely eliminated, some creditors can take pieces of owned property away from the debtor (such as car, home, or other large items bought with their credit). However, creditors do not always do this and it may be possible to retain some large person property items. Chapter 13 Reorganization is a form of personal bankruptcy where the filer will have to repay all or part of his or her debts over a specified period of time (3-5 years) by starting a payment plan. There are two tests one must pass to file for Chapter 13 bankruptcy, which assess the proposed payment plan's ability to pay the creditor at least a certain amount and also makes use of all of the debtor's disposable income. This means that the person filing would be allowed to spend their income only on necessary living expenses, and all extra income would be paid towards the consolidated debt. Filing for personal bankruptcy can be an excruciating process. Without the proper knowledge and paperwork, the request for bankruptcy could be denied. One must provide an extreme amount of detailed statements, receipts, proof of income, and other back up paperwork to prove that (s)he cannot pay back or keep up with their debts and bills. The tests involved in both Chapter 7 and Chapter 13 are very complicSated and any mistake can result in denial of personal bankruptcy status, IRS fraud, or regrettable decisions that can affect one's entire future. If any eligible debts are omitted from the filling, they may not be discharged by the Personal Bankruptcy and the filer will still be required to pay them. A bankruptcy attorney can also identify and debts which are not eligible for bankruptcy relief. Seeking the council of an experienced personal bankruptcy attorney can be essential if you are considering filing for Chapter 7 or Chapter 13 bankruptcy. 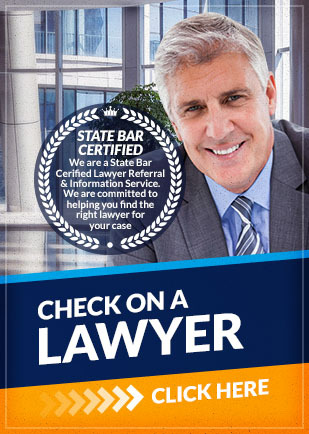 A lawyer can help you assess your situation and will explain the details of all your options so you can make the best decision for you and your family. If filing for personal bankruptcy, a large amount of information about your financial situation must be assembled, and certain tests must be passed to qualify. A personal bankruptcy lawyer can assist you step by step in this process and will take care of the filing for you. (S)he will always explain your rights and help to provide you will the best possible outcome so that you retain as many assets as possible and so that you can be on the road to financial recovery faster. At Attorney Search Network we can refer personal bankruptcy lawyers who will be committed to helping you free yourself from debts, creditors, collections, foreclosures, and other financial burdens. If you are planning to file for personal bankruptcy, contact Attorney Search Network to get the assistance, knowledge and support of an experienced bankruptcy lawyer. Attorney Search Network can provide you with an attorney referral you to a pre-screened Chapter Eleven bankruptcy lawyer in your area today.